Keeping your personal budget on track and a positive number in your checking account, can be hard sometimes. In fact, sometimes it can feel like you’re fighting an uphill battle against your own finances. When that happens, a fantastic way to create a little bit of breathing room for yourself is by looking for ways to earn free gift cards. These gift cards can be used for anything from paying a bill by earning free Visa gift cards, buying groceries by earning free Walmart gift cards or even getting Christmas and birthday gifts totally free by earning free Target gift cards. I may make money blogging, but I still do my sites every single day to earn my own. 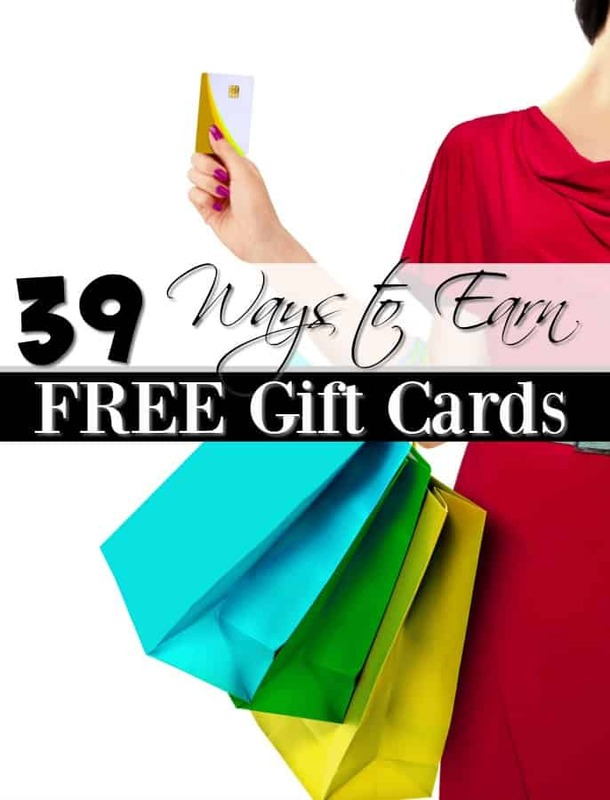 I see no reason to pay for more than I need to and earning free gift cards allows me to keep more cash in my pocket while still keeping my bills paid and groceries in my pantry. For my family, there have been times where the ability to earn free gift cards saved our personal budget. I learned to use the free gift cards that I earned to buy free groceries for my family. I worked hard enough at them that I devised a daily system that I use to add $225.00/mo to my income every single month. When we stopped buying and started making over 30 products in 2015, I used them to pay for the ingredients I needed for the homemade cleaner recipes and homemade beauty recipes I was making. In other words, those gift cards kept my family from facing financial ruin. Between these sites and the list of money saving resources that I use on a daily basis, I was able to get my personal budget under control back in 2014 when I desperately needed to. This post has a lot of options included for you. 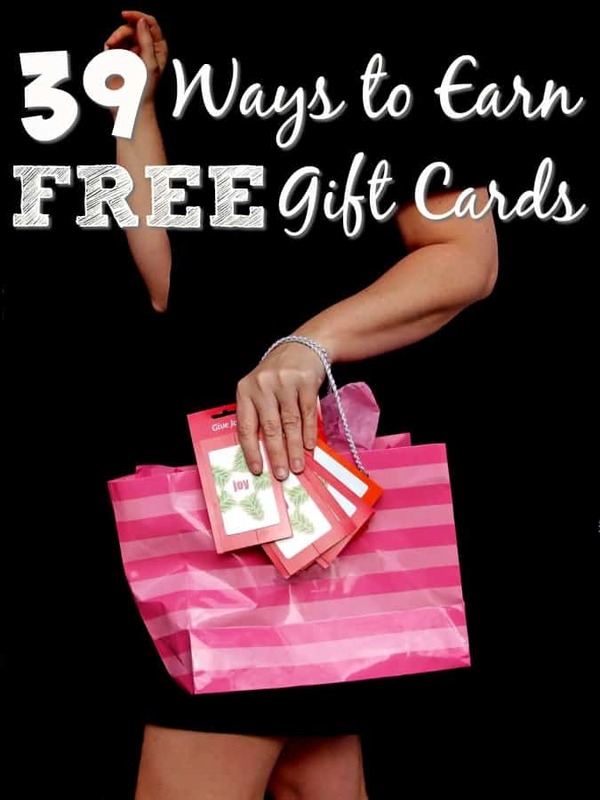 I wanted to make sure that there were plenty of ways to earn free gift cards for you to choose from so that you could try each site and pick your favorites. If, however, earning gift cards online isn’t for you, there are other ways to add income to your personal budget each month. Just be sure that you’re using tried and true ways to earn extra money so that you don’t end up getting scammed by a dishonest company. If you need money quickly, you could try these ways to earn $50.00 today. They are helpful for quick cash when you need it. Before we get going, I do want to mention that you should sign up for an NCP account as well. With NCP, you scan your groceries in order to earn or win rewards! It’s a program that I’ve been a member of for years and LOVE it! Head over and sign up for a ShopTracker account. Once you do, download the app and within 48 hours, they will send you a FREE $3.00 gift card. It isn’t much, but every little bit helps. Swagbucks – Swagbucks is my 2nd favorite site and the one that I have been a member of the longest. I started with Swagbucks around 2011, but didn’t really start earning with them until 2015. Since then have earned around $6.321.75. With Swagbucks, you earn points for searching just like you do with Google. You can also earn points for watching videos, completing offers, surveys and tasks, playing games and more. You’ll earn points for each task which can then be exchanged for free gift cards or Paypal cash. You have the option to earn free Visa gift cards, free Walmart gift cards, free Target gift cards, free Sephora gift cards and so many more. They have a huge selection. When you sign up for a Swagbucks account, you’ll be prompted to add their extension to your browser and to download the Swagbucks app. I highly recommend that you do both since they will help you to earn even more points. InstaGC – This is one of my favorite ways to earn free gift cards hands down. I’ve been a member since around 2013 and I still earn free gift cards to this day. With InstaGC, you will do offers and surveys, complete tasks, watch videos and more in exchange for points. Those points are then cashed in for free gift cards from places like Amazon, Target, Walmart, Ulta and many, many more. They also have an option to receive Paypal cash (1 point = $0.01) or direct deposit. Plus when you sign up for an InstaGC account, they’ll give you 10 free points to start. Reach $1.00 and cash out whenever! Paypal (under $25) and gift cards are paid instantly. How much can you earn with InstaGC? To date I have earned $5,366.89. Most of that was earned between April 2015 to December, 2016. Ebates – Ebates is another great way to earn free gift cards and cash. Unlike InstaGC and Swagbucks, Ebates is a cash back shopping site. This means that when you shop online (or in some brick and mortar stores) through Ebates, they earn a small commission from the merchant that you shopped through. Ebates then turns around and pays you a portion of their commission back as cash back. 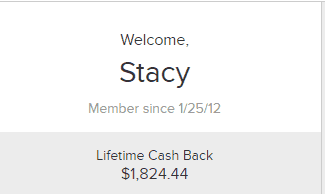 As you can see by the photo above, I’ve been a member since 2012 and have earned $1824.44 in cash back. I didn’t really start shopping with them until 2015 when our budget crashed so most of the $1800 was done in 2015 and 2016. Plus when you sign up for an Ebates account, they will give you a free $10.00 gift card of your choice when you make your first purchase of $25.00 or more. Prize Rebel – Prize Rebel is just like InstaGC except the prizes aren’t instant. Even if you have to wait a short while, it’s still really worth earning free gift cards with them though. You can also earn cash paid by Paypal or ACH, Bitcoin and actual prizes. This is one of my favorite sites to earn from because gift cards start at just 500 points which makes it incredibly easy to earn with. Prize Rebel is one of the longest running reward sites out there and are one of the most reputable in my opinion. When you sign up for a Prize Rebel account, you’ll be able to start earning right away. Just make sure that your profile is filled out completely and that you confirm your email address before you do so. Doing so when you sign up will make sure that everything goes smoothly when you cash your points out. Reward Shopping – Reward Shopping is another way that I earn free gift cards online and is super simple to earn from. To earn points, you simply push the SuperLucky button each day. You can also earn more points by completing offers and surveys or printing coupons. With Reward Shoping, points equal free gift cards from places like Walmart, Target or Whole Foods. You can also cash them in for Paypal or actual prizes. The value of points on this one is not 1 point = $0.01. I’m not sure what the exchange rate is but you can see from the photo above that it is quite less than 1 point = $0.01. When you sign up for a Reward Shopping account, be sure that you complete your profile to 100% and get to bronze level. You won’t be able to cash out until you do. Reward Shopping is a slower earner than with the other two above, but I’ve still earned over $1,000 since April 2015. Amazon Mturk – Looking for a way to earn free Amazon gift cards? Amazon Mechanical Turk (or Mturk) is another fantastic way to do so. With Mturk, business owners list tasks that they need completed and you, the worker complete them. Once your task is completed, you submit and when it is approved, you earn! Payments are handled with Amazon Payments which means that you can receive a direct deposit from Amazon or get paid in Amazon gift cards. When you first sign up for an Amazon Mturk account, you’ll likely only be able to do smaller paying tasks until y ou take a few qualification tasks. Go ahead and qualify for everything that you can because you’ll be able to get higher paying jobs. In fact? I have a personal friend that I sent to Mturk when he lost his job. Within just a few weeks, he had actually landed a full-time job through the gigs he was doing on Mturk! Amazon Trade-In – Did you know that Amazon will buy your used items? With the Amazon Trade-In program, they sure will and they’ll do it in Amazon Gift Cards! The amount of money that you’ll get will depend on the item that you’re trading in and can vary from just a few cents to hundreds of dollars depending on the item. Here’s the best part though; if you already have an Amazon.com account, you’re already signed up for Amazon trade-in! They don’t take every item under the sun, but they will take most items. When you log into your Amazon Trade-In account, you’ll automatically be shown any offers that they know you have. You can however click on “find more items” to add others. You can add items whether you bought them on Amazon or not. They won’t accept all of your items, but shipping to them and to return any unaccepted items is free for you. TopCashBack – Topcashback is like Ebates in that they will pay you to shop through their links. The difference is that with Topcashback, you have the option of cashing your cash back out in Paypal cash, American Express Reward Card, Gap gift card, direct deposit or Amazon gift card. The minimum needed to be paid varies with each cash out option, but they start at just $0.01. When you sign up for your TopCashBack account, you’ll be able to shop immediately. What I personally like to do is flip between Ebates and TCB to see which one will give me the most cash back for where I’m currently shopping. This allows me to really maximize the amount of cash back that I’m getting since I’m going with the site that pays me the most. Shopkick – Shopkick is a fantastic app that if you’re not using, you’re missing out. To earn “kicks,” you only need to open the app in certain stores or scan barcodes while you’re in the store. Those “kicks” can be cashed in for free Walmart gift cards and more. 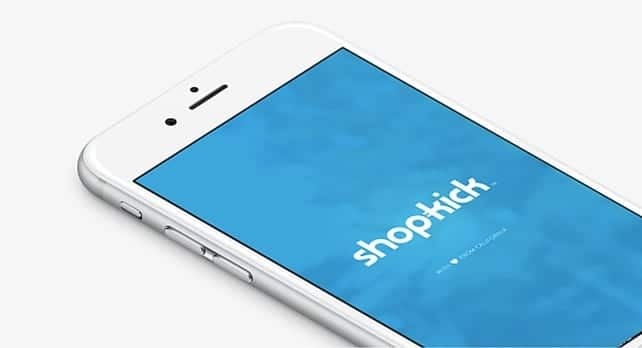 When you sign up for your Shopkick account, you’ll be prompted to download the app. Make sure that you have bluetooth turned on the next time you go to the store and wait for it to ding! It can also be helpful to keep notifications turned on for it since it will let you know when you’re near some place that you can earn kicks. Receipt Hog – You shop so why shouldn’t you get paid for it? With the next three apps, you can! Receipt Hog is an awesome app that will pay you for scanning your receipts. Use receipts from gas stations, convenience stores, grocery stores and more. Each one that you scan will give you a spin on their slots game. Win points from slots and cash them in to earn free Amazon gift cards or Paypal cash. When you sign up for a Receipt Hog account, you’ll also be given the chance to connect your Amazon account. Doing this will only track the orders you place and sometimes will give you a survey worth quite a few points. Ibotta – When you sign up for an Ibotta account, you have the chance to not only earn free gift cards but to save money on groceries too. 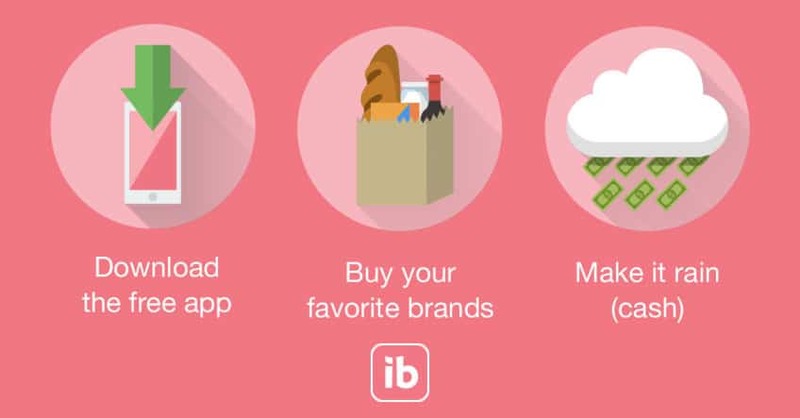 Ibotta offers rebates on groceries that you buy on a regular basis. You can score rebates for milk, bread, eggs, cheese, cereal and so many more. Once your account reaches $20.00, you can cash out for Paypal cash or free gift cards. Even better? All of your prizes are sent instantly! Ibotta runs specials for new members all of the time. At the time of this writing, new Ibotta members will score $10.00 totally free when they redeem their first rebate! Free money? It doesn’t get much better! 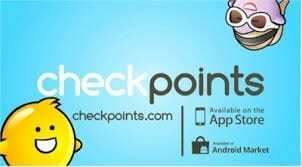 Checkpoints – When you’re in the store, why not earn free gift cards while you do your shopping? With the Checkpoints app, you can do just that! Scan bar codes while you’re in the store in exchange for points. Those points can then be exchanged for free Walmart gift cards, free Target gift cards and quite a few others! When you sign up for your Checkpoints account, be sure that you use the code thrbarrgir when you’re asked. It will earn you free points! Toluna – If you’re looking for a more traditional survey company, Toluna is one of the best. Not only can you earn free gift cards or cash, but you can also score free product tests every month just for being an active member. I’ve seen them test everything from deodorant to food and makeup. 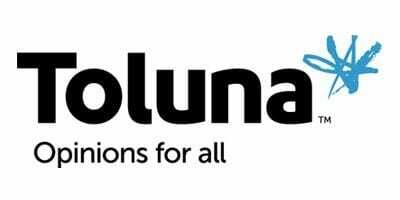 Toluna sends regular surveys through both your email and your member dashboard so make sure that you check both. You’ll need to be an active member for at least 3 days when a product test goes live to have a chance so it is best to sign up sooner rather than later. When you sign up for a Toluna account, they will send you a confirmation email. Be sure that y ou click the confirmation link in this email or you won’t receive any product testing invites or surveys and won’t be able to earn. Points2Shop – Another one of my favorite ways to earn free gift cards is Points2Shop. With P2S, you can not only earn free gift cards but you can also earn cash and actual prizes from anywhere on the net too! If they can order it online, you can usually get it as a prize! You can earn points taking surveys and doing offers and the points really add up with P2S. When you sign up for a Points2Shop account, you’ll be given $1.00 free. You can immediately cash this out and they will mail you $1.00 or you can hold onto it and use it to earn a bigger prize! Gift Hulk – Gift Hulk is a lot like Swagbucks, and just as valuable if you’re trying to earn free gift cards. Earn points for searching, completing tasks, playing games, taking surveys and more. When you sign up for a Gift Hulk account, you’ll be able to choose from hundreds of gift cards or actual prizes. My favorite is the pick a card game that you play with chips you earn. It makes it so easy to earn a few extra points plus it’s kinda fun too! Quick Rewards – Another fantastic way to earn free gift cards is to sign up for a Quick Rewards account. They will pay you for doing pretty much anything on the internet like watching videos, visiting websites, taking surveys, reading emails and much much more. That makes it incredibly easy to earn with. The best part about earning free gift cards and cash with Quick Rewards is that they pay daily. This means that you’ll have your payment within 3 days of cashing out. Not as quick as instant, but definitely easy enough to wait for. Harris Poll Online – Another true survey company, Harris Poll Online is a great way to earn free gift cards. Take surveys for points that you can then trade in to earn free Amazon gift cards, Free Walmart cards and many others. Again, when you sign up for a Harris Poll Online account, make sure that you confirm your email address so that you receive the surveys that they will send you. Inbox Dollars – Want to get paid for reading emails? With Inbox Dollars you can. Earn cash for clicking on links in emails that they send you or for completing offers, searching, watching videos and more. I’ve been a member of Inbox Dollars for quite a few years and I still earn with them every month. Like the others, make sure that you confirm your email address when you sign up for an Inbox Dollars account. Send Earnings – Sign up for a Send Earnings account and earn the same y as you do with Inbox Dollars. They’re owned by the same company so everything is pretty much the same. Yes! You can earn from both! Send Earnings will pay you to read emails, search, complete offers, watch videos and more. Like Inbox Dollars, they pay by check. MySurvey – Another true survey company, MySurvey is one of the best out there. Not only can you earn free gift cards by doing surveys, but they also have been known to send free products to test as well. I’ve personally tested mascara and dog biscuits but I know they do other types too. When you sign up for a MySurvey account, make sure that you fill out any profile questions they ask. Doing so will make sure that you receive all of the survey invites that you qualify for and that you’re able to product test any products that are open to you. iRazoo – This is another one like Swagbucks and Gift Hulk and was one of the first sites to earn free gift cards that I joined. Sign up for an iRazoo account and use the code ZZ9W77 to earn free points when you sign up. Once you’ve created your account, you can earn points for searching, clicking links, playing games and more. Prizes do take a bit longer with iRazoo but they’ve always paid me when I cash out. You can earn free Amazon cards, earn free Walmart cards and earn free Target cards to start. They have a lot of other options available for cashing out too. ShopTracker PC App – If you have a pc (not a Mac), the ShopTracker PC app is a great way to earn free gift cards. In fact, you can actually earn free gift cards for just creating your account! Sign up for a ShopTracker account and install their software. Leave it installed and within 24-48 hours, they’ll send you a free $3.00 Visa gift card to your email! The ShopTracker PC app allows Harris Poll, the company that owns it, to see what your online shopping habits are. Think of it like Nielsen Ratings for your shopping. They don’t have access to any of your personal information that is on your pc. Still looking for a few more ways to earn free gift cards? Check these out! I’m a member of each one of these too, but may not use them as often as I do the others. Each one has a different way of earning so be sure you read their descriptions. Survey Rewardz will pay you for completing offers and other tasks. You can cash out with free Amazon gift cards, free Visa gift cards, Paypal and more. Like the other sites, make sure that you confirm your email address when you sign up for a Survey Rewardz account. Valued Opinions is one of the longest standing true survey sites out there. They will pay you to take surveys that they send to your email and for completing product tests. The biggest benefits to signing up for a Valued Opinions account is the focus groups that they offer. and the fact that each survey an pay up to $5.00 per survey! These focus groups can pay up to $50.00/hour and are well worth trying to get into. VIP Voice is owned by the NPD group and while you can’t earn free gift cards, you can win them. Each survey that you take will give you an entry into the sweepstakes of your choice. These can range from vacations to electronics to yes, free gift cards. When you sign up for a VIP Voice account, make sure you confirm your email like with the others. Listia is a fantastic site for not only earning free gift cards, but for cleaning our your clutter too. Listia is easiest explained as an auction site that uses credits instead of cash. Earn credits by getting rid of your clutter and spend those credits on the things you want including gift cards. If you don’t want to get rid of anything, you can earn credits by completing offers and watching videos. When you sign up for a Listia account, be sure to verify your address and phone number so that you have an easier time winning auctions. If you’ve got a phone, Smart Panel can help you earn free gift cards. Sign up for a Smart Panel account, and add it to your phone. The longer you’re a member, the more you’ll earn! In fact, once you’ve been a member for 7 days, they’ll send you $20.00 free! This panel does require that all members have an income of $75,000 or more each year so not everyone will qualify. This could change at any point though so it is always worth checking. Cashcrate was one of the first get paid to sites on the web and it is still one of the most reliable. Complete offers for points and get paid once a month. It really is that simple. When you sign up for a Cashcrate account, confirm your email address and they’ll automatically add $1.00 to your account. Want to earn free Amazon cards, earn free Target cards, free Starbucks cards and more? If so, sign up for an E-poll account and you can! Take true surveys and complete offers to earn them! YouGov has only been around about three years, but it has become a fantastic survey sites in that time. Take real surveys to earn points that can be traded in for gift cards or cash. This is one of my favorites so I highly recommend that you sign up for a Yougov account. You can really earn big with them. Still want a few more? Check these out! I’m sure you’ll love them just as much! As with all of the ones above, be sure that you confirm your email address after you sign up. You won’t be able to earn free gift cards if you don’t.